More and more people continue to weigh in on Colin Kaepernick’s lack of employment. However, some voices ring a lot louder than others, and there’s no question that when former –still, to some — all-time home run king Hank Aaron says something, people are going to listen. In a recent interview with ESPN, Aaron was posed a question regarding the current situation surrounding Kaepernick, and like many others, he’s on the side of the former 49ers quarterback getting a raw deal from everyone. It’s not just Aaron who feels this way. The NAACP sent this letter to Roger Goodell on Aug. 22. The letter indicates a desire for the NAACP to have a meeting with the NFL. According to the letter, the NAACP feels there is an ongoing “league-wide set of retaliatory actions” against Kaepernick. The NAACP sees this as an infringement of his First Amendment rights. The most telling part of the letter comes further down the page. No Player should be victimized and discriminated against because of his exercise of free speech – to do so is in violation of his rights under the Constitution and the NFL’s own regulations. If history is any indication, situations like this will continue to persist if they are met with indifference and inaction. The NAACP is fully committed to defending the right to equitable treatment both within and outside the workplace. The NAACP also has sent out one tweet and retweeted several tweets from multiple different organizations supporting Kaepernick. They’re even throwing a rally. Since he opted out of his contract, Kaepernick has had very little for opportunity. He tried out for the Ravens and the Seahawks, but in a quarterback-driven league, he should have had more calls. Aaron summed up the feeling pretty well. Here’s a man, a young player, that almost carried a team to a championship, to a Super Bowl. I think somebody needs to give this man a chance. He should have. When Ryan Tannehill went down this summer, Kaepernick should have been brought in for a tryout. Maybe Dolphins head coach Adam Gase was banging the table for Cutler, but when names like Tim Tebow are being thrown around, a tryout that costs no one anything but time is the least that could happen. 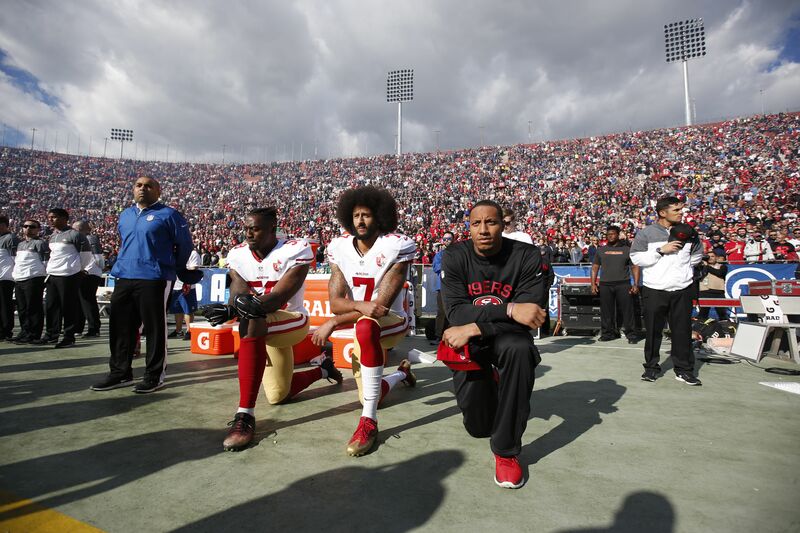 Ultimately, teams are likely avoiding the media circus and potentially lower ratings that signing or even having Kaepernick work out would bring to the team. That doesn’t mean the NAACP or Hank Aaron like it.